John Mahoney and the Atomic Café accuse Kyle and Peter Roy and their companies Cold Brew Ventures, LLC, and Lean & Local, LLC, of trademark infringement, trade secret misappropriation, breach of contract, and various other state law claims. The complaint alleges that the defendants, who operate under the names LeanBox (which delivers vending machines and provides vending services) and Grind (which provides coffee products that are offered through LeanBox’s vending services), induced Mahoney to enter into a joint venture to produce and market his cold brew products on a larger scale. The joint venture, Cold Brew Ventures, designed and configured a production facility largely at Mahoney’s direction. 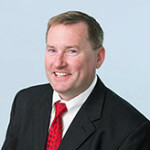 The group agreed to the terms by which Mahoney would provide expertise to the venture – he was to receive a 25% equity stake in the facility and a fixed salary; yet once the facility became operational and his trade secret information had become known to them, the defendants refused to sign and unilaterally withdrew from the agreement. The defendants are accused of using two registered trademarks covering ATOMIC COFFEE ROASTERS, which Mahoney had used in his three retail shops and a manufacturing facility that makes cold brew coffee, latte, and tea. They are also accused of misappropriating proprietary information relating to Mahoney’s cold brew formulas and processes, as well as business information and contacts. Author dmassiplitigationPosted on October 10, 2017 Categories Complaint, Trade Secret, Trademark1 Comment on The Atomic Café et al. v. Roy et al. (17-cv-11927). Independent Film Society of Boston, Inc. v. Patrick Jerome d/b/a Boston International Film Festival (17-cv-11856). The Independent Film Society of Boston (“IFSB”) has been running the Independent Film Festival Boston (“IFF Boston”) since 2003. The festival occurs each spring, and screens more than a hundred films in area independent art-house cinemas. The IFSB previously sued the International Film Festival (“BIFF”) for trademark infringement and false designation of origin arising from BIFF’s use of BOSTON IFF and BOSTONIFF marks similar to the IFSB’s IFF BOSTON marks and for BIFF’s adoption of the www.bostoniff.org domain name. IFSB alleges that BIFF falsely claimed priority in the BOSTON IFF mark, and that BIFF falsified evidence in an attempt to prove priority. The case was successfully mediated by Magistrate Judge Bowler, and a settlement agreement was executed in May 2017. (It should be noted that the falsification of evidence allegation was never proven or admitted to by BIFF). IFSB now alleges breach of the settlement agreement by BIFF’s continued use of the BOSTONIFF mark in various places on its website, for example ,in the copyright notice at the bottom of every page, in numerous drop-down menus, and in background photographs. IFSB further alleges that BIFF has continued to direct traffic to its bostoniff.org website rather than directing all traffic to its bostoniff.com site and has failed to place a noticeable disclaimer of affiliation on all film submission documents, as required by the agreement. IFSB also brings counts for breach of the implied covenant of the good faith and fair dealing, which is imposed as a matter of law in Massachusetts to all contracts, unfair competition, trademark infringement, and false designation of origin under the Lanham Act, common law unfair competition and trademark infringement; and violation of M.G.L. c. 93A. IFSB seeks damages, trebling of damages for willfulness, punitive damages, a permanent injunction, specific corrective advertisements and notices from BIFF, and attorneys’ fees and costs. Author dmassiplitigationPosted on September 28, 2017 Categories Complaint, TrademarkLeave a comment on Independent Film Society of Boston, Inc. v. Patrick Jerome d/b/a Boston International Film Festival (17-cv-11856).